If this sounds like today’s cinema, that’s because it is. In Reinventing Hollywood, David Bordwell examines the full range and depth of trends that crystallized into traditions. He shows how the Christopher Nolans and Quentin Tarantinos of today owe an immense debt to the dynamic, occasionally delirious narrative experiments of the Forties. Through in-depth analyses of films both famous and virtually unknown, from Our Town and All About Eve to Swell Guy and The Guilt of Janet Ames, Bordwell assesses the era’s unique achievements and its legacy for future filmmakers. 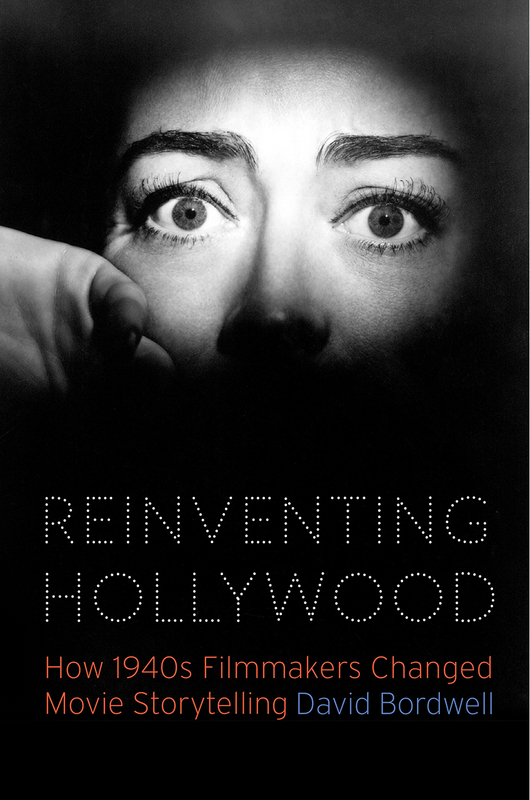 Reinventing Hollywood is a groundbreaking study of how Hollywood storytelling became a more complex art and essential reading for lovers of popular cinema. "A new book from David Bordwell is always a welcome event in the field of film studies, particularly for the cinephilic academic who appreciates his wide-ranging corpus and the close attention with which he analyses individual moments. . . . It is a hugely engaging account of the fertility of this period and a convincing collection of invigorating storytelling innovations. . . . A fresh contribution to scholarship on Hollywood cinema and an aficionado's joy." "Bordwell effectively argues that the change in the era of bold, different, sometimes difficult films from the '40s made a permanent mark of cinematic storytelling that resonates to this day." "Few exceed David Bordwell at the job of looking at cinematic technique and describing how, exactly, the trick is done. . . . The book lays out a remarkable curriculum of 1940s American films before reaching a conclusion that traces their legacy to the present day, arguing that well before young American filmmakers of the 1970s 'discovered' modernism from the European art film, the Europeans had been learning from the experimentation of Hollywoood in the 1940s—a seemingly inexhaustible creative wellspring, here drunk from deeply." "Rather than focusing on the colorful stars and studio bosses of 1940s Hollywood, prolific film historian Bordwell . . . zooms in on the films themselves, and more specifically, how they were made." "a two-fisted approach to rethinking Hollywood's evolution"